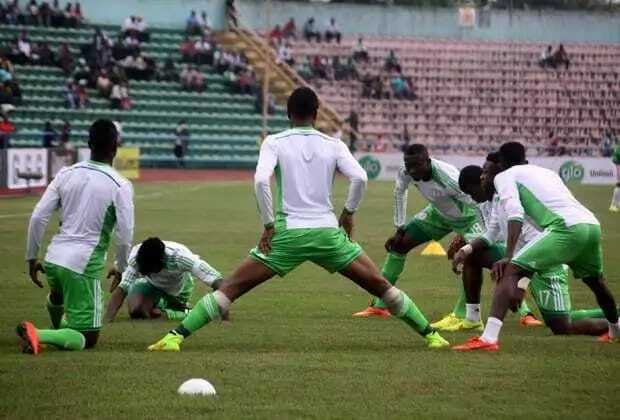 The Super Eagles of Nigeria will be trading tackle with the might of Algeria in what promises to be an interesting encounter when both sides lock horn at the Akwa Ibom stadium, Uyo at the weekend. The pressure and antics towards the game is seriously building ahead of the high profile encounter between two of the finest African sides who deserve to be at the world cup in Russia but have to outwit one another to stand a chance of booking a place in the showpiece come 2018 in the course of the 90 minutes. With tension building and certain mathematical permutation brewing in our minds as regards to the game we take out time to highlights the reason why the Eagles might carry the day against the Algerians. With the Eagles playing at home and with their pedigree of commanding high rare view and following in the game, the Nigerian side will be out not to let the fans and supporters down in the match especially in a world cup qualifying game of this caliber. There will be a spirited and united effort from the team to ensure the downfall of the opposition in the course of the 90 minutes. The fans cheering the team will surely serve as a confidence booster to the team that will enable them overthrow the Algerians side at home when the ball it set into play. Already Nigeria have not lost at home especially in crucial games and that does not look like change anytime soon with the positive euphoria and support for the team going into the fixture. Nigeria vs. Algeria clash has always been a mouthwatering game to look out for, but one thing seams to transpire after the meeting of box sides. Nigeria have had a way of coming on top of the North African side, and on that note will be seeking to improve on those records against Algeria when the game gets underway. Nigeria have over powered the Algerians on many occasions with the last victory coming in the 1-0 win at 2010 Nations Cup third place match which afforded Nigeria the chance to win a bronze medal in the tournament to the delight of former youth international Taye Taiwo and John Obi Mikel. The Algerian side are certainly a tough side in all ramifications for any opposition as seen at the World Cup in Brazil two years ago where World Champions Germany needed two goals in extra-time to beat the North Africans to ensure a place in the quarter-finals on their way to the World Cup triumph. With the talent of Islam Slimani and the dynamic presence of Yacine Brahimi there is no doubt to their quality the Algerians possess but with the presence of prolific talents like Etebo, Iwobi and Iheanacho, Nigeria is no short of quality personnel to wreck havoc over the visiting side come Saturday evening at the Akwa Ibom Stadium in Uyo. The Eagles of Nigeria undoubtedly know the tough task ahead of them as they face the North African side but with presence of quality involvement in the Super Eagles camp the team is fired up to beat the visitors. Brown Ideye was very much confident when asked about the team’s chances against Algeria from his base in Greece on Super sports and the Olympiacos forward sounded very confident of victory which entails the level of believe among the Super Eagles and with Mikel and Ahmed Musa very focused on the game there is certainly an evidence that these Super Eagles players wants to do the talking on the pitch against Algeria when the stage is set in Uyo. Under the short reign of German tactician Gernot Rohr, the Eagles have won two games against Tanzania (1-0) and Zambia (1-2) and that have instilled confidence within the team. Nigeria might have struggled to overcome the underdog side Tanzania courtesy of Kelechi Iheanacho left footed strike at the edge of the box but there were signs of good things to come as the Eagles looked comfortable and good in possession with Victor Moses and Ighalo threatening the Tanzania defence. With the improved performance of the players at club level and the confidence of the team the Eagles who are known for rising up against all odds will be able overcome the sterling challenge from the Algerian side.